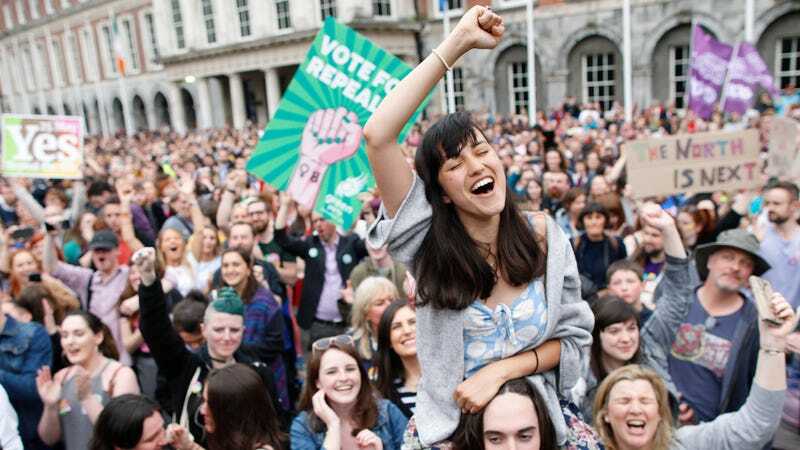 Last year Ireland finally ruled that abortion would be legal, but not without a few specifications. As of January 1, unrestricted abortions are now legal up to 12 weeks, after which women can still get them if there are present fetal abnormalities or if doctors sign off on the procedure, and a three-day mandatory waiting period is also required. But despite the shiny new legislation, Irish women are already hitting a wall when it comes to obtaining a so-called “legal” abortion. The New York Times reports that the country is still lagging behind the law and that despite the legality of the procedure, abortion is still seen as a secret. Out of over 4,000 general practitioners of medicine more than 200 doctors have signed up to provide abortions (as they have to opt-in to performing them) and it can be hard to tell which doctors are for or against the procedure. Earlier this month The Irish Examiner reported on a woman whose 13th week of pregnancy revealed her fetus was developing organs in the wrong place, but was told by her doctors that she couldn’t get an abortion because the diagnosis didn’t “neatly fall into a fatal fetal abnormality” category. The NYT interviewed one woman who says she spent three days on the phone before finding a proper doctor and that she was terrified during the three-day waiting period before her abortion that someone might try to change her mind. Irish women are not entirely on their own. The government has set up an anonymous support line to help them navigate the new system. But even that service got off to an unsteady start after the lines were jammed by anti-abortion activists posing as women seeking abortions so they could identify doctors willing to assist in the procedures and picket their clinics. If all of this sounds familiar, it might be because Ireland’s anti-abortion climate sounds a lot like America’s! Here abortion is “legal” but not, as insidious TRAP laws keep hospitals and doctors from performing the procedure, wide swaths of the country are without enough proper abortion clinics, and those that exist are bombarded with protesters and pro-life imitators.